Harry Treadaway – Biography, Movies And TV Shows, Is He Gay? Home Actors Harry Treadaway – Biography, Movies And TV Shows, Is He Gay? Great Britain, particularly England is known for many things, some of which are unsavory, but its relationship with the arts is not one of them. The island has been one of the biggest contributors to film and theater over the past century, boasting of several talents which have taken professional acting and filmmaking to new heights, one of who is Harry Treadaway. Treadaway made his debut in 2005 and has developed a reputation around his performances as Victor Frankenstein on the television show, Penny Dreadful. His name has continued to ring high among film and television viewers from England to America and the rest of the world. 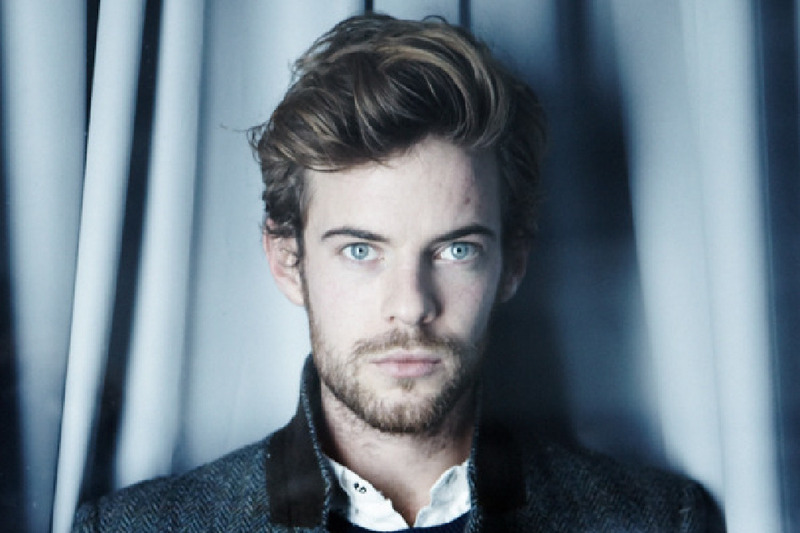 Harry Treadaway was born as one half of a set of twins in Exeter, Devon on the 10th of September, 1984. He was born to an architect father and a primary school teacher mother. His birth and that of his twin, Luke, was the second in the family. The pair have an older brother named Sam who is an artist. His twin brother Luke is also an actor. Treadaway grew up in Devon and attended Queen Elizabeth’s Community College after completing his primary and secondary education. He fell in love with acting at a very young age whilst play-acting with his brother. Together, this prompted a desire to pursue a career in the profession and they achieved this by attending the London Academy of Music and Dramatic Arts following their graduation from college. As an aspiring actor, Harry Treadaway also joined the notable National Youth Theatre in England where he sharpened his skills as an actor. His work in the theatre in the early stages of his career included appearing in plays like Myrna Molloy and Over There. Alongside acting, the Exeter native is also a songwriter. He started a band with his twin brother and is credited for writing some of the songs of his debut film, Brothers of the Head. When it comes to professional acting, the worth of an actor or an actress is in the quality and quantity of their filmography. Harry Treadaway has managed to rack up a number of credits across film, television and stage plays. He made his onscreen debut in 2005, playing the character Tom Howe in the film, Brothers of the Head. Here, Treadaway starred alongside his twin brother, Luke as they played a set of conjoined twins. His performance in the film was a great introduction to professional filmmaking and it has gone a long way in spurring several other acting jobs for him. Harry Treadaway got his second credit in the television show, Marple where he starred in an episode as George Erskine. This started a series of appearances in television shows like Afterlife, Recovery and an extended run as the main character in Meadowlands in 2007. In Meadowlands, he played the character, Mark Brogan. Following the completion of his work on Meadowlands, Treadaway returned to film and appeared in a series of films over the next couple of years. He appeared in films like Pelican Blood, Over There, Albatross, Fish Tank City of Ember and the television film, The Night Watch where he played the character, Duncan Pearce. He returned to television in 2013 playing Jonathan Anselme in the miniseries, Flight of the Storks and appeared in the Hollywood film, The Lone Ranger in 2013 as Frank. Over the next few years, Harry Treadaway made major appearances in television shows like Truckers, Fleming and Penny Dreadful where he starred as one of his most notable roles, Dr. Victor Frankenstein. In 2017 he appeared in twenty episodes of Mr. Mercedes as Brady Hartsfield. So far, his performances in television and film have earned him two award nominations – Most Promising Newcomer from the British Independent Film Awards and Best Actor in a Drama Series from the Satellite Awards. You may have heard rumors of Harry Treadaway being gay. It is a rumor that is usually not far behind handsome looking professional actors. However, we can confirm that he is a straight man. Since Treadaway came into the limelight, he has been in a relationship with two women – Polly Stenham and Holliday Grainger. His relationship with actress Holliday Grainger began in 2015.